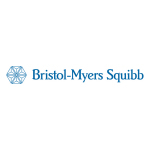 PRINCETON, N.J.--(BUSINESS WIRE)--Bristol-Myers Squibb Company (NYSE: BMY) today announced that Opdivo (nivolumab) 3 mg/kg plus Yervoy (ipilimumab) 1 mg/kg (injections for intravenous use) was approved by the U.S. Food and Drug Administration (FDA) as the first Immuno-Oncology combination therapy for previously untreated patients with intermediate- and poor-risk advanced renal cell carcinoma (RCC).1,2 In the Phase 3 CheckMate -214 clinical trial, the Opdivo + Yervoy combination demonstrated a significant and unprecedented increase in overall survival (OS) in this patient population compared to a current standard of care, sunitinib. 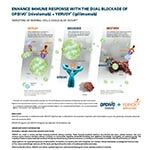 An OS benefit was observed regardless of PD-L1 expression level.1,2,3 Opdivo + Yervoy also delivered durable responses, with a higher objective response rate (ORR) compared to sunitinib.1,2 Patients in the CheckMate -214 trial received four cycles of the Opdivo + low-dose Yervoy combination, followed by Opdivo maintenance therapy.1,2 In the combination arm of the trial, 79% of patients received all four doses of Opdivo + Yervoy and went on to the Opdivo monotherapy phase.4 Flexible dosing options are available during the Opdivo maintenance phase (480 mg infused every four weeks or 240 mg infused every two weeks). 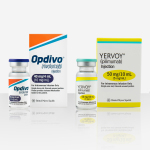 In Checkmate 214, serious adverse reactions occurred in 59% of patients receiving OPDIVO plus YERVOY and in 43% of patients receiving sunitinib. The most frequent serious adverse reactions reported in at least 2% of patients were diarrhea, pyrexia, pneumonia, pneumonitis, hypophysitis, acute kidney injury, dyspnea, adrenal insufficiency, and colitis; in patients treated with sunitinib, they were pneumonia, pleural effusion, and dyspnea. In Checkmate 214, the most common adverse reactions reported in at least 20% of patients treated with OPDIVO plus YERVOY (n=547) vs sunitinib (n=535) were fatigue (58% vs 69%), rash (39% vs 25%), diarrhea (38% vs 58%), musculoskeletal pain (37% vs 40%), pruritus (33% vs 11%), nausea (30% vs 43%), cough (28% vs 25%), pyrexia (25% vs 17%), arthralgia (23% vs 16%), and decreased appetite (21% vs 29%). 4. Data on file. NIVO 136. Princeton, NJ: Bristol-Myers Squibb. 15. Terris M, Klaassen Z, Kabaria R. Renal Cell Carcinoma: Links and Risks. Int J Nephrol Renovasc Dis. 2016 ;9:45-52. 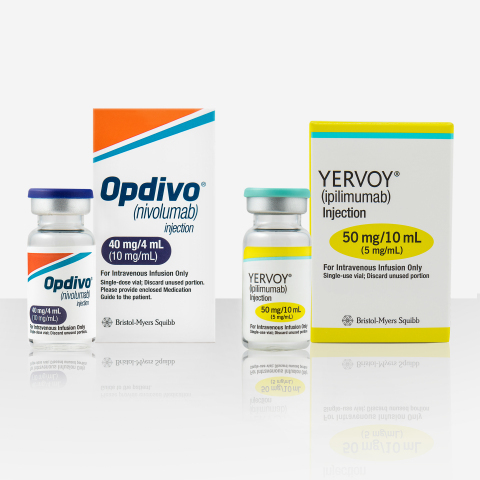 OPDIVO® (nivolumab) + YERVOY® (ipilimumab) logo. Please see the U.S. Full Prescribing Information for OPDIVO and YERVOY, including Boxed WARNING for YERVOY regarding immune-mediated adverse reactions, below. 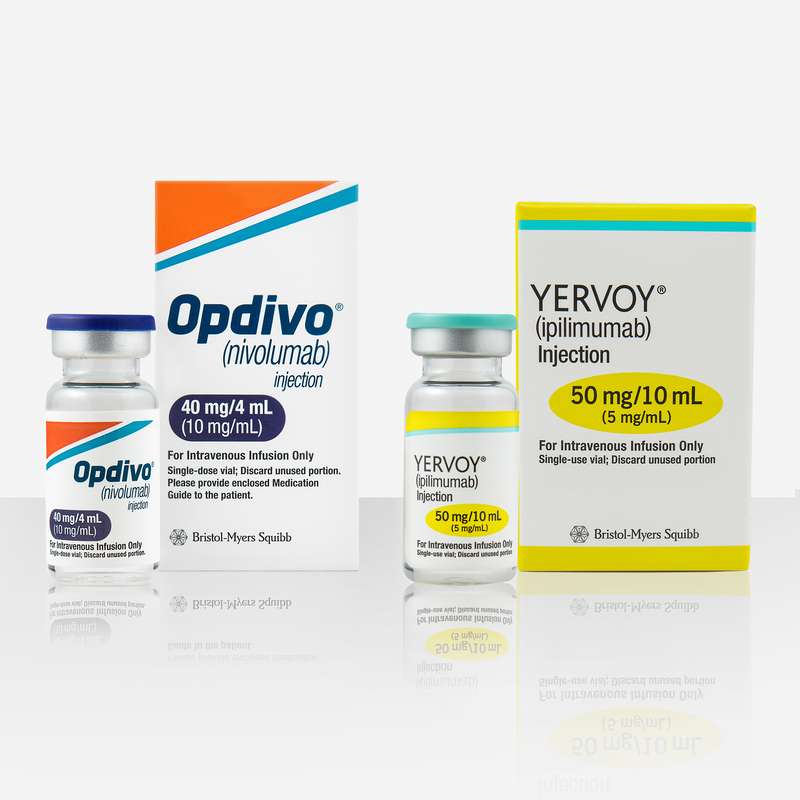 OPDIVO® (nivolumab) + YERVOY® (ipilimumab) product photo. Please see the U.S. Full Prescribing Information for OPDIVO and YERVOY, including Boxed WARNING for YERVOY regarding immune-mediated adverse reactions, below. See how the combination works in the body.